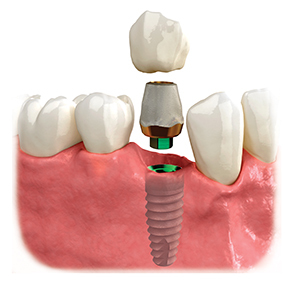 Dental implants are artificial tooth roots placed into the jaw to hold a replacement tooth or bridge. Artificial tooth implants are an ideal option for people in good general oral health who have lost a tooth or teeth due to disease or injury, and are an important aspect of restorative dentistry. 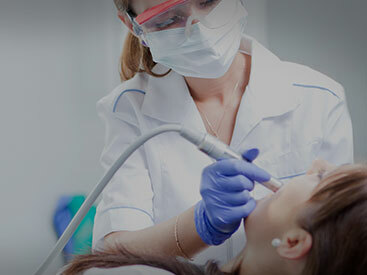 Contact Your Downtown Dentist about restorative dental services now! When a tooth is missing the bone in the jaw begins to deteriorate. Dental implants provide the jawbone with the proper stimulation for healthy bone preservation. – As soon as we place an implant, most patients are surprised that they can’t tell the difference between the implanted tooth and their natural teeth. While a bridge usually requires a grinding down of two adjacent teeth, dental implants are placed without any damage to your other teeth. Dental implants are a permanent solution to replacing your missing teeth. Dental implants are made of titanium which is non-corrosive and non-harmful. For more information on Dental Implants in the Orlando, FL area call Dr. Ali Behzadi at (407) 502-0202 today!